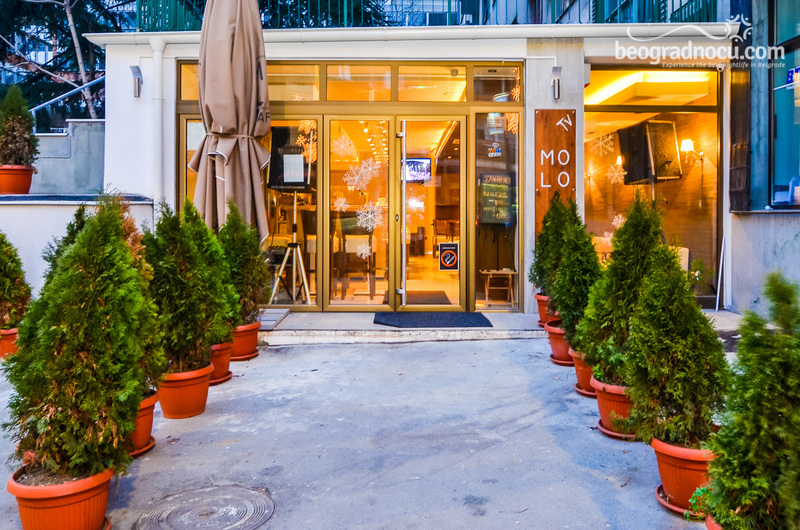 Cafe Molo Tv is located in downtown at No 6 Takovska Street. Close to RTS (Radio Television of Serbia) and Faculty of Geology, this cafe is well attended in this part of town. Removed from everyday life, cafe Molo Tv will provide you to enjoy in taste of of morning coffee or have unforgettable night. 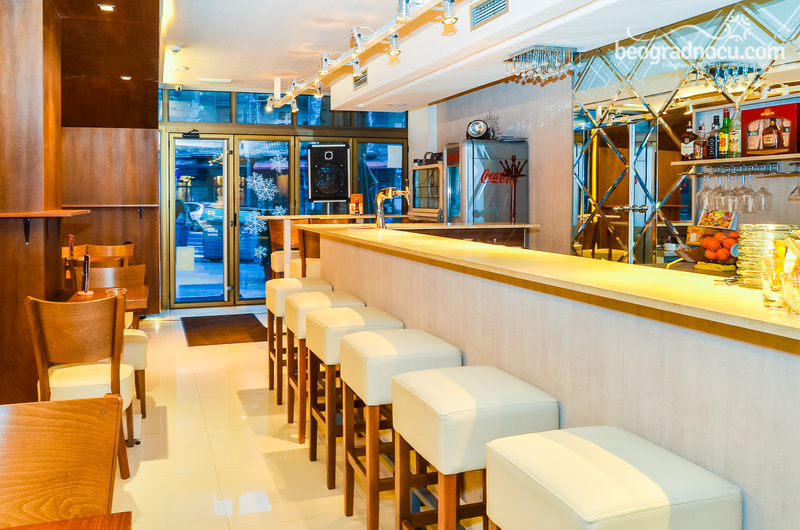 Cafe Molo Tv is urban place that with its interior, service and offer provides pleasant moments to everyone who visit it. 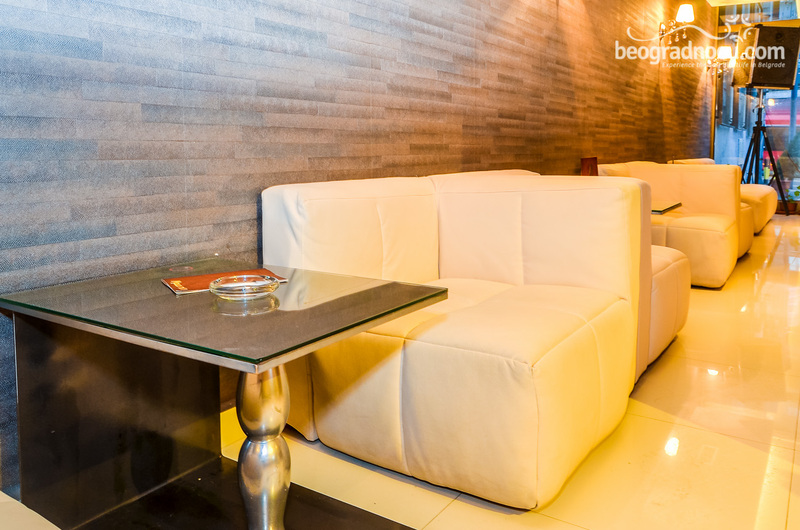 Cozy ambient will make your coming here true pleasure that you will be able to complete with various offer of most delicious drinks. Interior of cafe Molo Tv is subordinated to raising your mood, so the inside is dominated with reduced colors and modern furniture with simple lines. 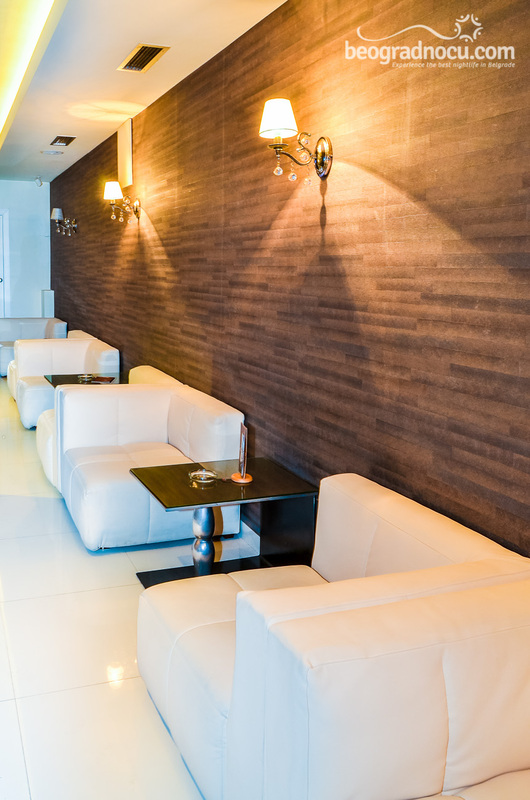 In ambient are prevailing combinations of natural color of wood with white surface and makes perfect harmony with architectural structure of cafe. Sometimes most simple things are most beautiful and memorable which is especially important for its guests. A cafe Molo Tv is precisely like that, simple and unique. Once you stop by in cafe Molo Tv it will become your regular stop. 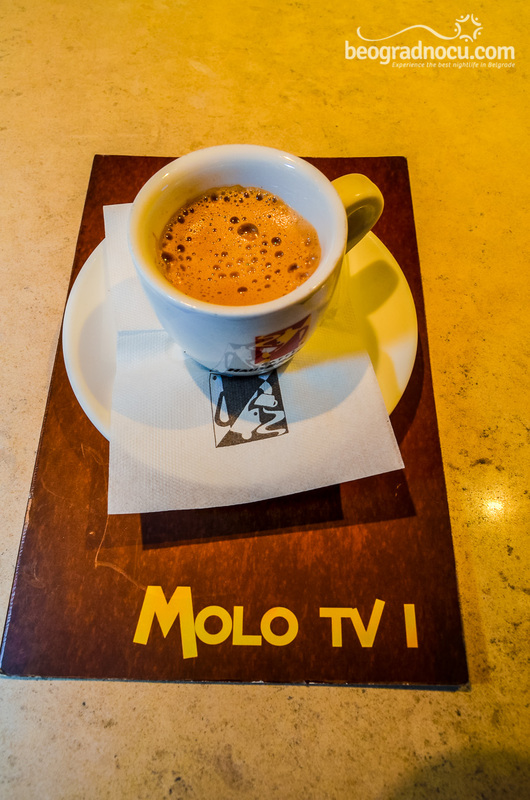 In menu of cafe Molo Tv you can try different kinds of coffees, hot chocolates and freshly squeezed juices. 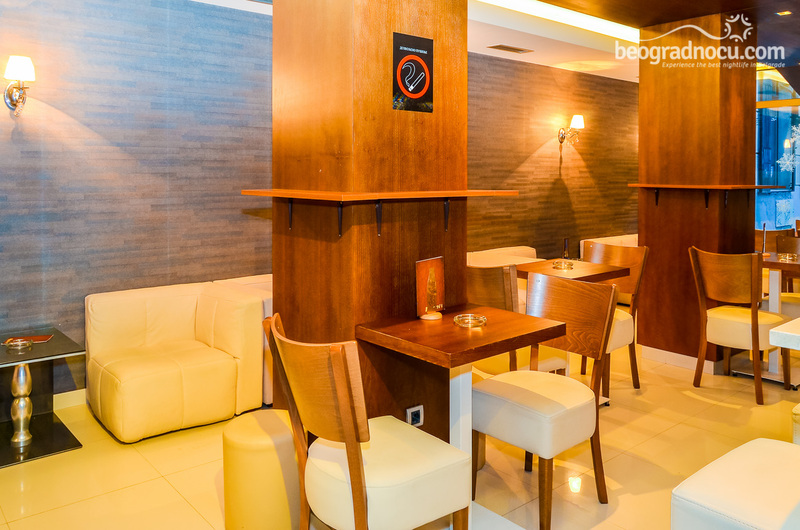 With a glass of rakija or wine, you can chat with your friends, have business meeting, love date or maybe just relax by yourself in this pleasent cafe in downtown. 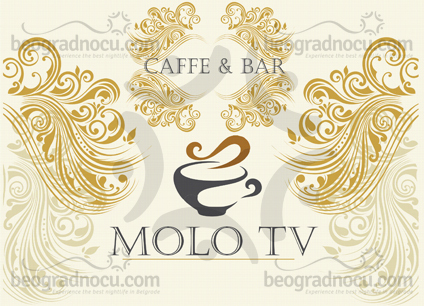 In cafe Molo Tv you will always be welcomed by pleasant atmosphere and friendly staff that is always at your service. 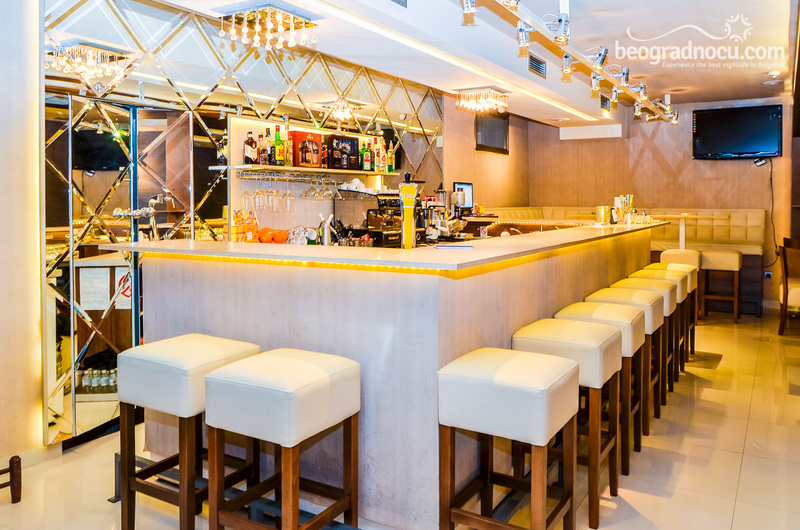 Cafe Molo Tv offers very attractive nights that are interesting for guests full of creativity and people eager to have fun, but is a bit different form usual routine. 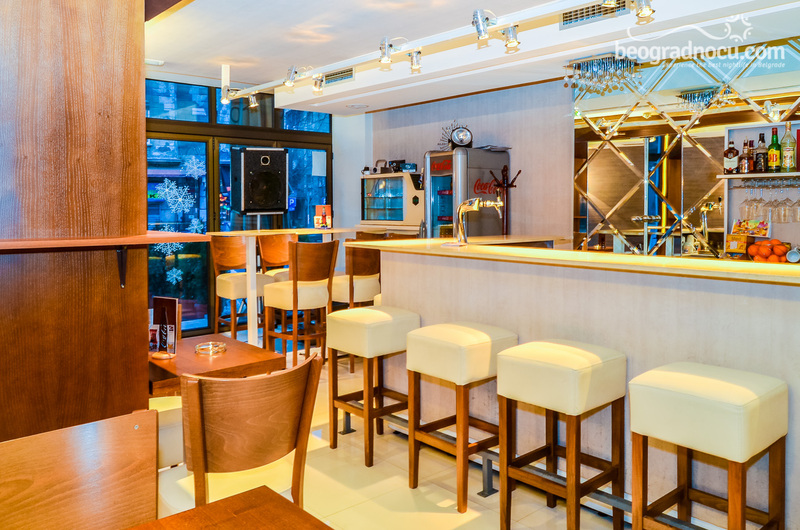 Precisely because of that cafe Molo Tv represents true refreshment in Belgrade offer for places for subtle entertainment. 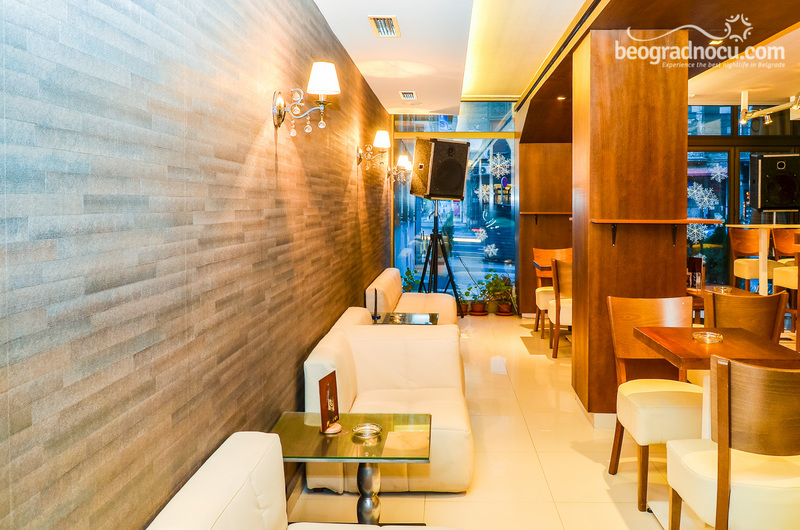 Besides daily entertainment, you can enjoy here in the pleasant atmosphere in the evening and spend unforgettable night. Cafe Molo Tv accommodates 100 people and music genre is mostly house and deep house. 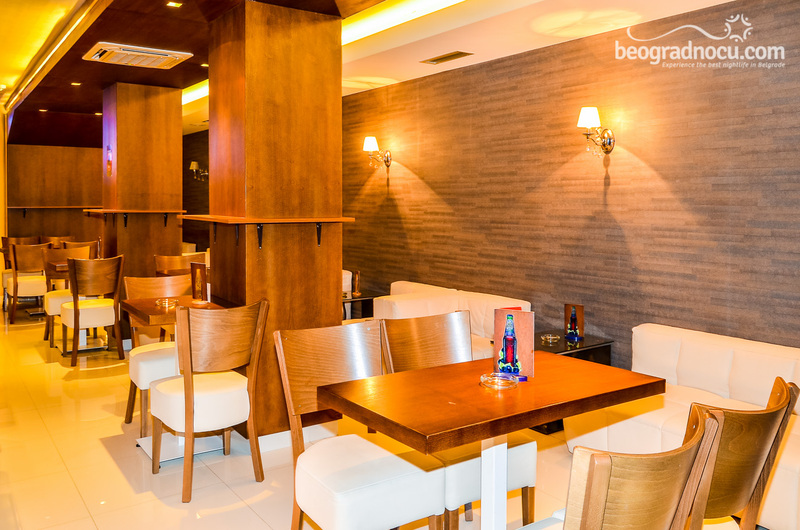 Beautiful and relaxed atmosphere is pleasant ambient, low prices, top service and wide selection of drinks. But, don't trust us and come to cafe Molo Tv and see for yourself.